After much feedback from clients and visitors, we want to honor your feedback with more thorough luxury condo indices. We're following your lead, and hopefully taking it another step. What's Going On With Bethesda Condos? - The Lauren Penthouse Is Still Available - 7770 Norfolk is No Longer a Condo. 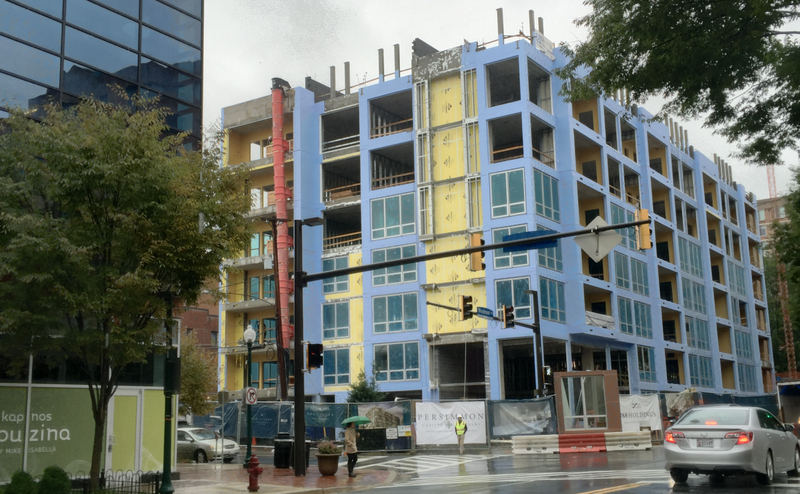 From new Bethesda development construction specifics, to an interactive maps keeping you apprised of planned apartments "going condominium" (much like 7770 Norfolk - view below!) -- to showing you "where are the 3+ bedrooms condos? ", we've begun, will share progress, and look forward to the Bethesda Condominium-centric feedback! Update, Monday, February 1: 7770 Norfolk in Woodmont Triangle has gone back rentals because of rumored slow sales. My apologies for not updating some of you sooner. On the Woodmont Triangle Condo front, stay tuned for videos of "The Stonehall Condominiums", Bethesda's next and newest luxury residence development! DC Luxury Condos: As our our condo reach has grown, we've found ourselves in the NW DC Condo Mix. Friendship Heights Condos have always been a an extension of our Gretchen Koitz's and my breadth. And the synergy has become increasingly enjoyable when moved into the Harrison a few years ago. From The Somerset House in Friendship Village), the Chevy Chase Maryland site of Friendship, to Chase Point, we're continually humbled by referrals, and trust. In DC, from Hotel Condo Residences to Georgetown Waterfront Condos, we're working on a luxury condo market index that we hope answers client questions we most often receive. As of this update, a greater Bethesda Condo Map guide is almost finished but the DC Luxury Condominium Guide is going through another revision after your (client and visitor feedback). For those of you who would like a peak at any either of of the condominium guides, we want your feedback - please don't be shy to tell us "what's missing", or how we can better help you understand this ever changing condo market. View 7770 Norlfolk Ave Condos No More Viewing 7770 Norfolk Condos - But if you with to view Featured Luxury Condos in Bethesda, please don't hesitate to contact me. Many thanks always and have great Monday!